Technical diving is a the application of special equipment, knowledge, procedures, and skills to safely conduct dives beyond recreational diving limits. This may include the use of enriched gas blends to include 100% oxygen, conducting planned decompressions dives, accelerating decompression procedures, using trimixes, and diving to depths will beyond 130 feet. Through these courses, you will gain valuable knowledge, skills, and experience unmatched in most other types of diving. By the time you complete your training your abilities as a diver will have greatly expanded and your dive skills tested. This experience allows the prospective technical diver see what it feels like to dive in technical equipment. You will be exposed to some basic tec skills in a safe and controlled environment. Depending upon your interests, you may have the oportunity to try both sidemount and the traditional backmount gear configurations. Orientation to the diving equipment you will be using. Shallow water review of basic Tec skills. Confined water dive to experience diving in the Tec equipment and opportunity to try out some basic Tec skills. Required Gear: None, but you may want to use your own mask, fins, and dive boots. This is an introductory Sidemount course. In it you will learn about the techniques to dive in this equipment configuration, but also how to select, assemble, and adjust your sidemount equipment setup. Understand the benefits of sidemount diving. Develop your ability to assemble, configure, and wear sidemount diving equipment. Guide you in mastering the skills required to plan and make no stop recreational sidemount dives. Required Gear: As it is more complex then the normal recreational equipment and configurations vary, please contact the shop for equipment options. This is a more intermediate sidemeount course. This course will teach you not only how to configure your sidemount equipment and the skills needed to dive it, but also it how to use the equipment and skills a Tec diver needs. You will use multiple stage/deco cylinders and train on advanced sidemount emergency procedures. This course is designed to train students interested in learning Tec diving in the sidemount configuration or training Tec divers who want to begin diving in a sidemount configuration. Plan and make sidmeount dives within recreational, no stop diving limits. Develop your ability to assemble, configure, and wear sidemount diving equipment with stage cylinders. 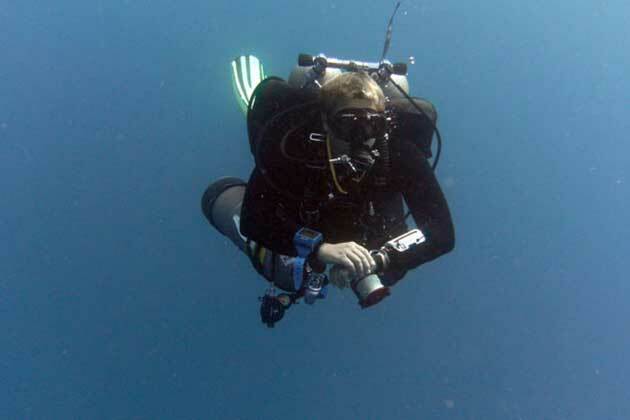 Guide you in mastering the skills safely use the sidemount configuration during Tec dives. Required Gear: As it is more complex then recreational equipment and configurations vary, please contact the shop for equipment options. This is the introductory PADI Tec course. The skills you learn in this course will form the foundation upon which more advanced Tec courses will build upon. This course will challenge you to improve your dive knowledge and skills to a new level. You will be certified to conduct limited decompressions dives within recreational depths after this course. 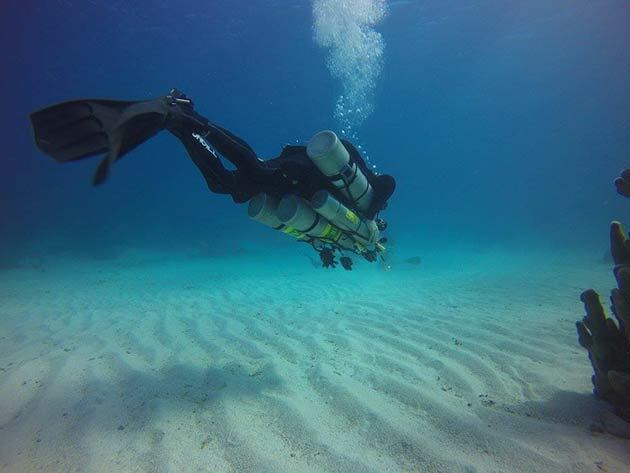 Plan and make decompression dives with no more than 10 minutes of decompression. 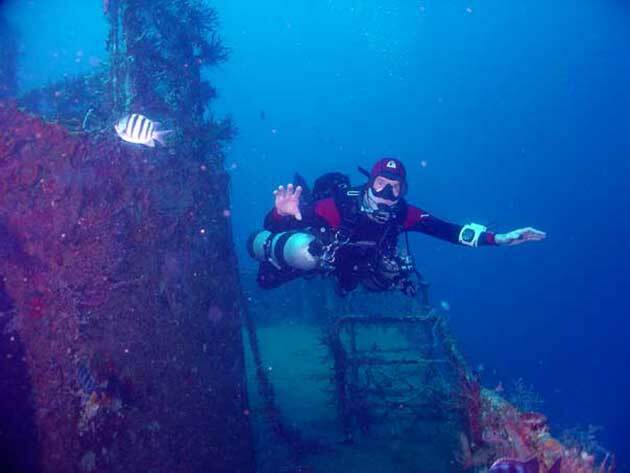 Conduct these decompression dives within recreational depth limits (130’). Use a single cylinder of enriched gas (EANx 50 max) to add conservatism during any decompression stops. 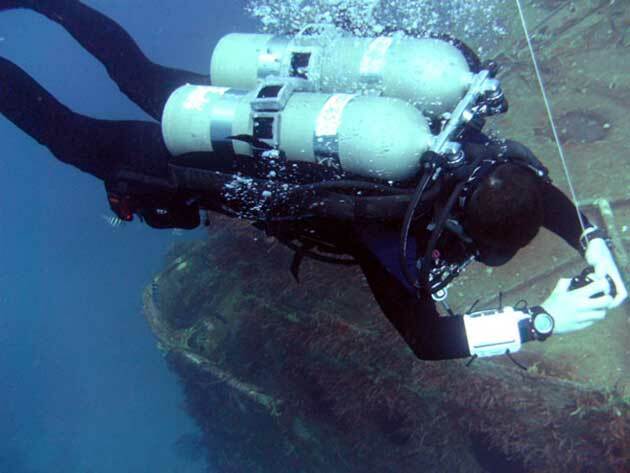 Use traditional backmount cylinders or dive in a sidemount configuration. This is the intermediate level PADI Tec course. The skills you learn in this course will build upon foundation you learned in Tec 40. This course will continue to challenge you to improve your dive knowledge and skills to the next level. Not only will your knowledge and skills improve, but you will test them by diving beyond recreational diving limits! Plan and make single or multiple decompression stop dives to a maximum depth of 145’. Use a single cylinder of decompression gas (EANx or oxygen) to accelerate or add conservatism to required decompression stops. Conduct extended no stop dives using one cylinder of EANx or oxygen. This is the advanced PADI Tec course. The skills you learn in this course build upon those you learned in Tec 40 and Tec 45. 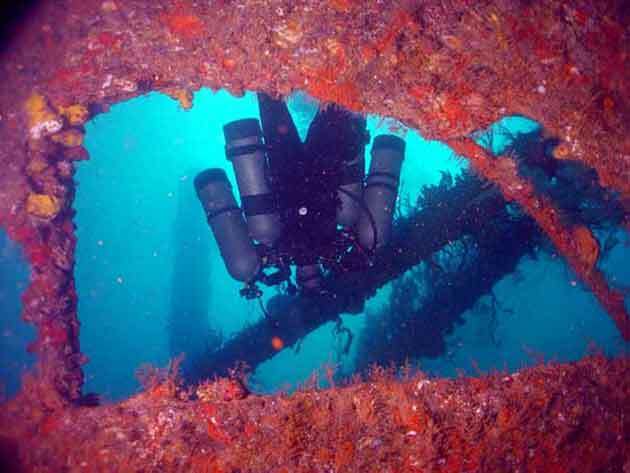 This course will train you to dive to deeper depths, with more complex equipment configurations. During this course, you will continue to improve as a diver and will push the limits of your Tec diving skills and knowledge. Plan and make single or multiple decompression stop dives to a maximum depth of 165’ using air, EANx, and/or oxygen as applicable. Use tec diving equipment and appropriate gasses to conduct multiple stop decompression dives. Use two cylinders of decompression gas (EANx and/or oxygen) to accelerate or add conservatism to required decompression stops. Conduct extended no stop dives using two cylinders of EANx or oxygen. This is the most advanced PADI open circuit Tec course. This is the cutting edge of technical diving. Using trimix allows you to reduce nitrogin narcosis to manageable levels and further extend the depth to which you can dive. Your diving skills and knowledge must be exemplar to safely make these dives. 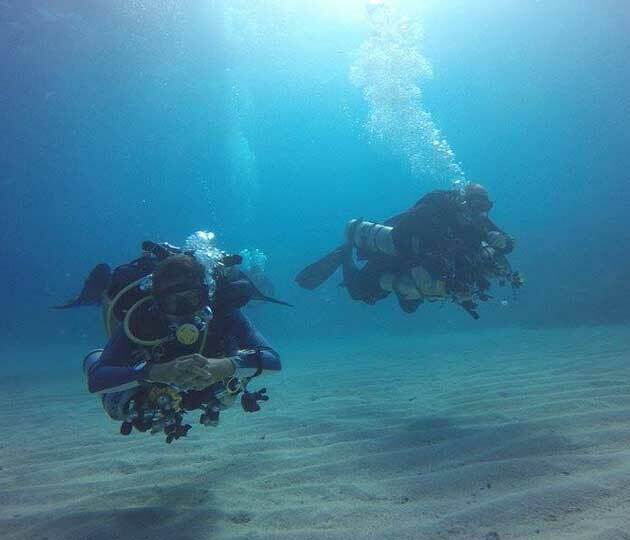 Plan and make single or multiple decompression stop dives to a maximum depth of 300’ using trimix, air, EANx, and/or oxygen as applicable during the dive. Use up to four cylinders of decompression gas (trimix, EANx, and/or oxygen) to accelerate or add conservatism to required decompression stops.